Sporting Al Riyadi Beirut (LBL) agreed terms with 33-year old American power forward Randolph Morris (211-125kg-86, college: Kentucky). 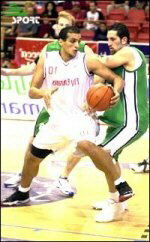 He played recently at Guangdong Southern Tigers in Chinese CBA league. The list of the past achievements is quite long as among others Morris won Chinese CBA championship title in 2012, 2014 and 2015. He was also voted Asia-Basket.com All-Chinese CBA 3rd Team back in 2011, 2013 and 2016. 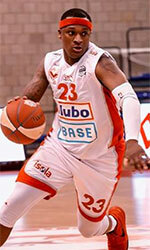 Morris has played previously professionally also in NBA (Atlanta Hawks and New York Knicks). He attended University of Kentucky until 2007 and it is his twelfth (!!!) season as a professional player. On Morris: Has solid touch around the basket but can shoot well from the 10- to 12-foot range ... Has the size and ability to be a dominant inside player, both offensively and defensively.